Transforming a neighbourhood kick-about into an epic sporting event through the magic of sports commentary. Phil Parry (BBC London Sport) and a young commentator in action. 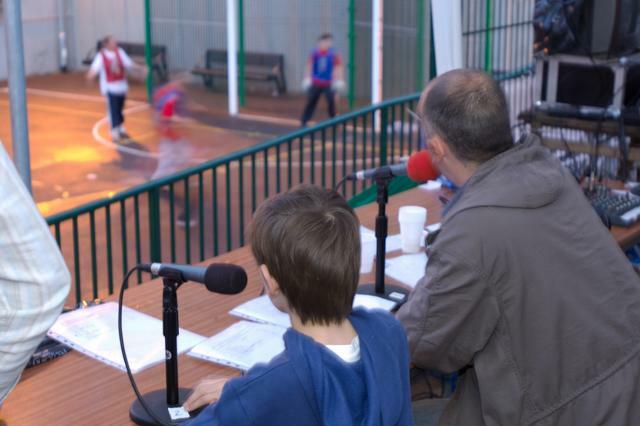 The People Speak‘s first commission from Space Studios in 2005 involved training young football commentators and putting on a spectacular one night tournament on the neighbourhood kick-about. With live-action replays on big screens, live commentary from BBC London Sport’s Phil Parry and sound effects, the Ranwell Estate in Bow was transformed into a glamorous stadium for a night. One Night Grandstand has since been developed into a travelling stadium kit, which The People Speak offers as a service as a way of augmenting all kinds of local sporting events. Fiona Fieber and Tanya Skillen at Space Studios commissioned the first version, and the Chisenhale Gallery who provided space and helped with commentator training. Phil Parry for helped the project and volunteered his time and support. 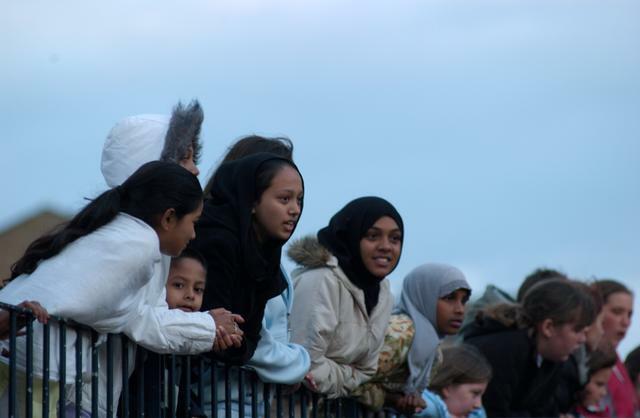 Sacha Edwards and the young people of the Ranwell Estate for playing and supporting their teams so enthusiastically.